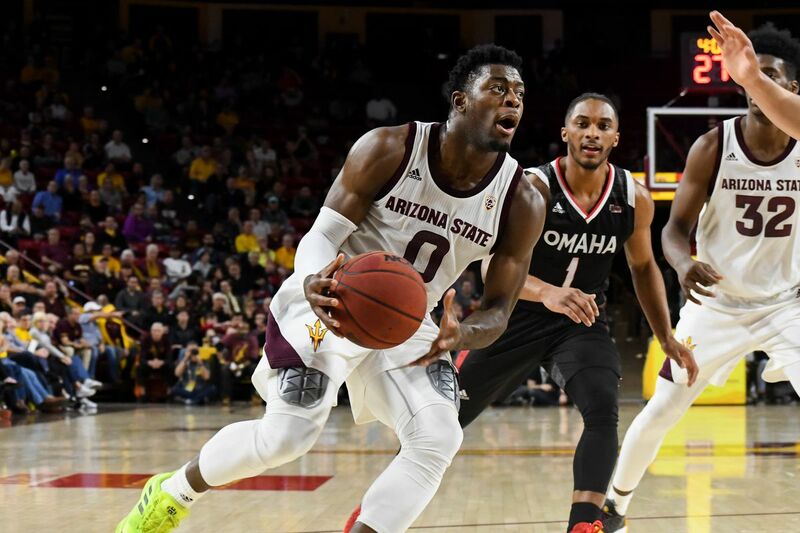 With the Arizona State Sun Devils out of the NCAA Tournament, Luguentz Dort will have a big decision to make. If he comes out of school, he would make a perfect addition for the Phoenix Suns. There was a lot of interest going into Arizona State's tournament run. However, there ride in the the March Madness tournament was short lived following their 91-74 loss against Buffalo. 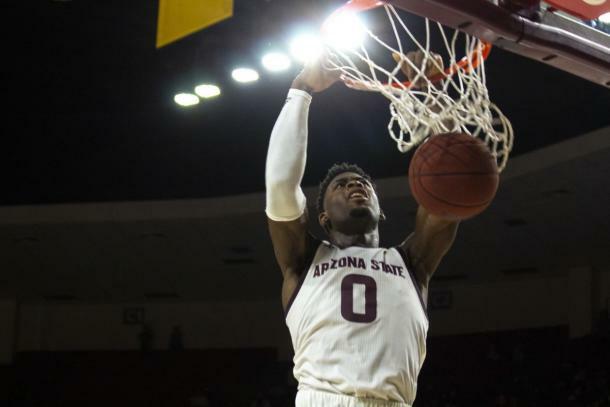 With seniors Zylan Cheatham and De'Quon Lake no longer edible and Luguentz Dort possibly NBA bound, the Sun Devils could look a lot different next year following their exit. The freshman from Montreal, Quebec, Canada made quite the impression during his first season at ASU. Dort averaged a team-best 16.1 points and 4.3 rebounds, was named Freshman of the Year in the Pac-12 and picked by coaches as the only freshman among 15 all-conference players. He was also a first-team all-defensive selection in the Pac-12. He garnered national attention from the likes of Pac-12 announcer Bill Walton, ESPN college basketball analysts Jay Bilas among other NCAA analysts across the nation. In the upcoming weeks, teams across the NBA will await his decision to enter the NBA Draft. When the college season started, Dort was considered a first round talent, labeled a top-25 pick. As of right now, he may be seen as an early second-round pick. Depending on where the Phoenix Suns land in the draft, Phoenix could be drafting in the top-five in both rounds of the Draft. If Dort is available, it would make sense for Phoenix to consider the 19-year-old shooting guard. Obviously, with Devin Booker the starting shooting guard, there won't be much of an opportunity for Dort to start for the Suns. Despite that, there is still plenty of opportunity for Dort to find minutes. Troy Daniels, Jamal Crawford, and Jawun Evans will be free agents this year, with the possibility of the Suns moving on from two of the three of them. Daniels is averaging 15.8 points, 3.5 rebounds and 1.4 assists per 36 minutes. Crawford is averaging 12.8 points, 6.7 assists, 2.4 rebounds and one steal per 36 minutes. Dort is averaging 20.4 points, 5.4 rebounds, 2.9 assists and 1.9 steals per 40 minutes. Sure, he wouldn't be able to replicate these types of numbers behind Devin Booker, but Dort would be the spark plug the Suns would need off the bench. Part of the problem with the Suns currently is they are not getting much production from players that aren't named Booker, Bridges or Ourbre. Josh Jackson has not worked out the way the Suns would have hoped and everyone knows about the Suns dreadful point guard situation. Dort has the ability to score and get back on the defensive end and create turnovers. If Jackson remains on the roster, pairing Dort with Jackson off the bench would make for a great combination. Either De'Anthony Melton or Elie Okobo would benefit from having a ball handler like Dort on the floor with them as they would have someone else to make plays or spread the ball around the floor. With Dort's defensive skills, he could limit the opponents scoring while starters Booker, Mikal Bridges and Kelly Ourbre Jr. catch their breath off the bench. Bottom line here is the Suns would to have a player Dort coming off the bench. He is a perennial game changer that could possibly develop into a role player the Suns would need to bring a championship to the Valley. James Harden started his career coming off the bench for the Oklahoma City Thunder. Harden with hard work and dedication, Harden evolved into a league MVP and could be on his way to winning it again this season. Dort brings the same work ethic and could give the Suns so much energy off the bench. However, first things first, Dort would need to announce his attentions to leave ASU and enter the NBA Draft. According to Dort, "There's a big decision that's going to come up," Dort said. "I still don't know yet. I still have to talk with my family and my people, but there's a big one coming up soon." If Dort does enter the draft, it would be beneficial to the Suns to add a local player with his skill set to add to the Suns timeline.